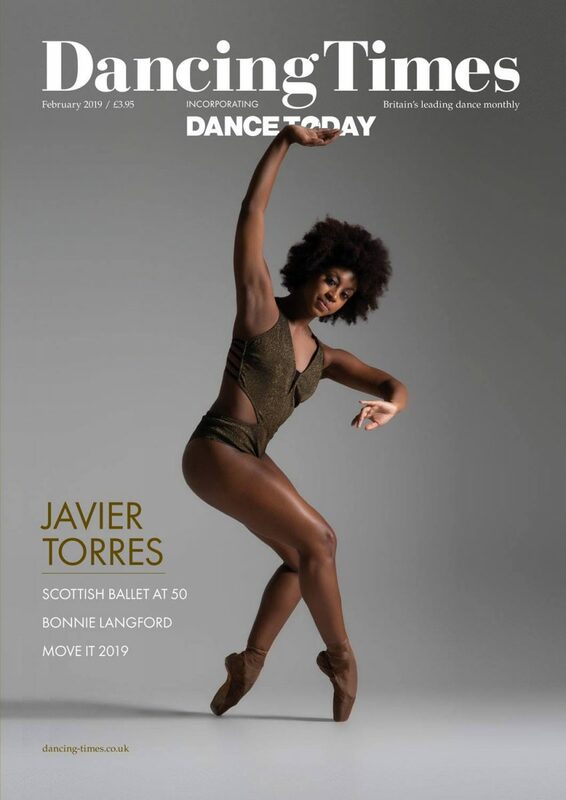 Cover girl for the February edition of Dancing Times is Ballet Black’s Isabela Coracy, photographed by Angela Zaremba, who is the Dancer of the Month. It was announced recently that Ballet Black will be collaborating with Birmingham Royal Ballet during its next season. Editor Jonathan Gray interviews Northern Ballet’s Javier Torres, Nicola Rayner meets Bonnie Langford who is in 9 to 5: The Musical at the Savoy Theatre in London, and Gerald Dowler talks to Stuttgart Ballet’s Friedemann Vogel. Beyond doubt, [Christopher] Hampson has moved the company forwards and he’s done this, in one sense, by looking backwards, investigating the glory days of founding director Peter Darrell, one of the most revolutionary figures in ballet in the UK and a creative man of the theatre for whom Hampson has huge respect. There are the customary invaluable tips and tricks about the dance world – technique, entering the dance profession – and details of this year’s MOVE IT 2019, the UK’s biggest dance event which runs from 8 to 10 March. Both Laura Cappelle in her France/Dance column and Jonathan Gray mention Sergei Polunin’s hiring and firing by the Paris Opera Ballet after his jaw-dropping Instagram statements. 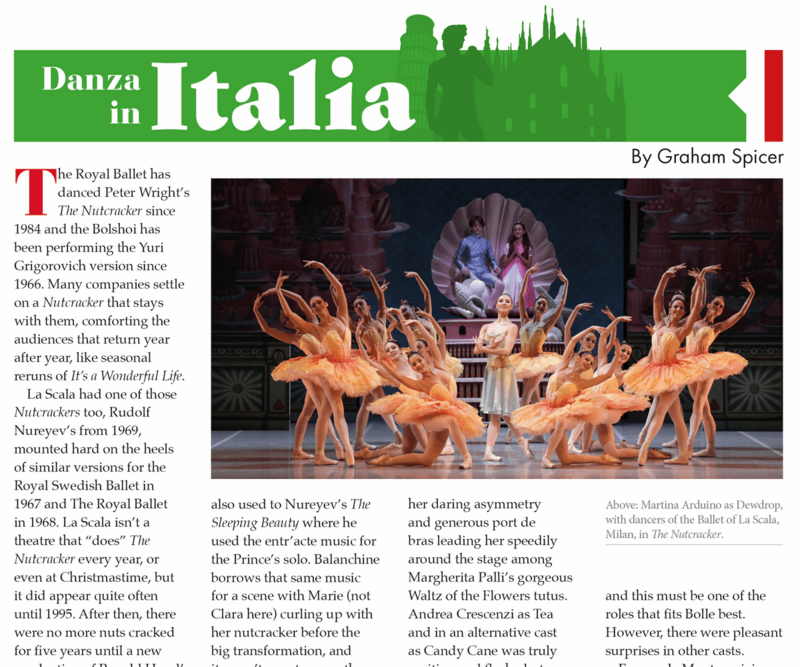 Lots of news and reviews from around the world include my opinion of La Scala’s new production of Balanchine’s The Nutcracker in Milan, as well as some delightful surprises in its latest outing of Manon, in my Danza in Italia column. Buy your print copy here or your digital copy from app stores.